We all know that a lack of sleep affects how well we can perform. Poor sleep impairs focus, mood and basic cognitive function. A regular meditation practice has been proven to improve your quality of sleep, particularly during the REM sleep cycle. This phase of sleep is the restorative part of our cycle. Most dreams occur during REM sleep and contribute to increased levels of melatonin (the hormone that promotes quality sleep). A meditation practice before bed has the ability to reduce anxiety and relax the body, supporting the natural transition to sleep. It’s no secret that Meditation is one of the best tools for overcoming stress. Whether it’s a deadline at work, or the day before your driving test – a short meditation can re-boot the brain, dissolving stress and boosting productive thinking. A regular meditation practice allows the body to function optimally. By relaxing the body and deepening the breath, the mind switches off and the body’s natural healing mechanism, switches on. Jon Kabat-Zinn (Center for Mindfulness in Medicine at University of Massachusetts Medical School) discovered that meditation had the ability to reduce pain in the body. This proves that mediation can be used a natural pain relief tool. Researchers have found that a daily, 30-minute meditation practice effectively relieves the symptoms of depression and anxiety. Over time, the areas of the brain that contribute to these experiences shrink in size as new pathways in the brain are generated, leading to healthier thinking behaviours. Meditation makes a person more aware of their actions, how they communicate and how they impact the world around them. By becoming aware of our actions, meditation allows a person to improve their relationships with friends and family, nurturing and respecting their community. Meditation has the ability to change one’s outlook on life. It enhances feelings of gratitude and satisfaction, improving feelings of wellbeing and contentment. Meditation can be used as a tool to manifest one’s future. By spending time calming the mind, creative ideas often appear – which for some can turn into a thriving business or hobby. Many of the world’s most successful entrepreneurs rely on meditation as a tool to help them make the “next big move” in business. Meditation can also be used as problem solver. 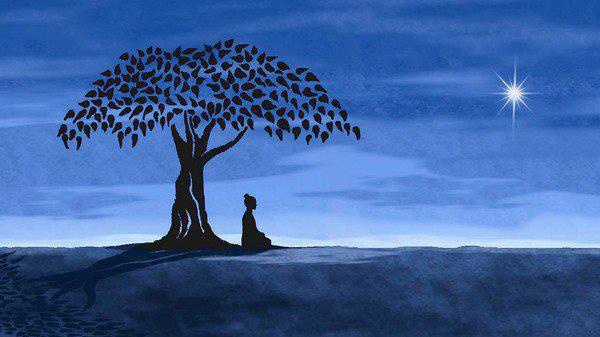 By sitting in silence and calming the mind, often, the answer to the problem will arise. “I don’t have time” is said far too often nowadays. Meditation slows down our sense of time. By focusing on simple moments (such as each breath), the idea of time is removed altogether. This can be very liberating for many people – as often, they will realise that they do have time and can spend it on the things they love. We can always make time, just be slowing down. Previous post: Massage oil, lotion or wax? Which one would you use?